Each of our Casa classrooms has a dedicated French teacher as part of the teaching staff. The French-speaking teacher not only assists the classroom Directress in managing the Montessori classroom as a whole; she also provides the children with exposure to the beautiful French language. This is done through every day conversation, songs, stories, and specialized small group lessons. Children are greeted with a cheerful “Bonjour!” as they arrive and have opportunities to absorb conversational vocabulary through the events of the day. 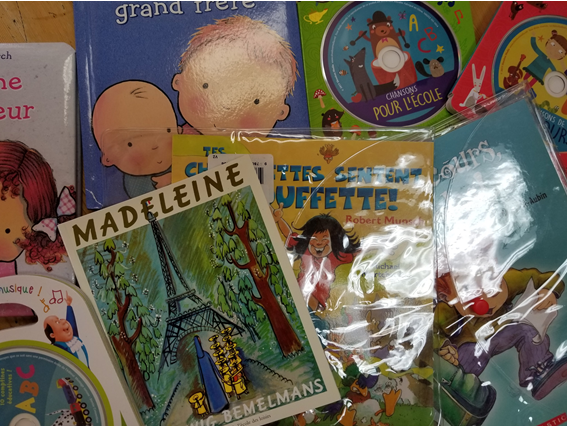 The Casa classrooms are equipped with a variety of materials that the French teachers can utilize to present the French language as a natural part of the school day; this allows for natural French immersion. The classified cards, as discussed in a previous Language blog post, introduce children to varied vocabulary under different categories; these can include wild animals, vehicles, dogs, fruits, vegetables, articles of clothing, insects, sports (as pictured below) and so much more. For our pre-reading children, a teacher or older peer can verbalize the nomenclature. Labels in French and English can be found at the back of each card for independent readers, too. 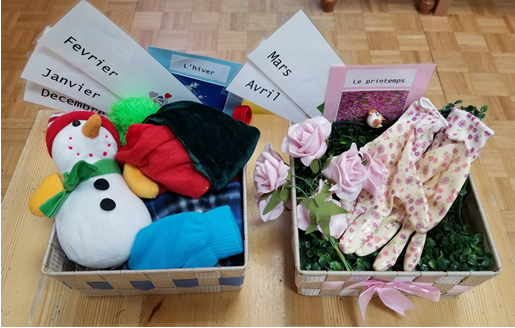 For other materials and objects in the classroom, just as the English-speaking teachers may identify each by its specific names, the French-speaking teacher may also use French words to identify each object. Sensorial concepts such as big and small, long and short, rough and smooth, loud and soft are discussed by the French teacher using their French names. 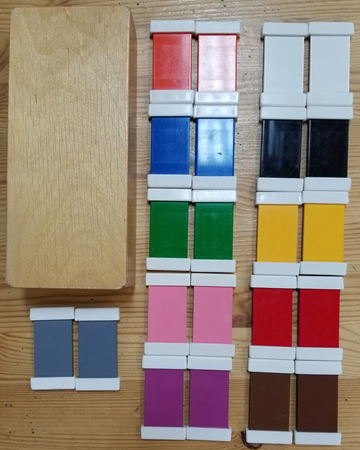 Colours as seen in our Colour Boxes (pictured below) are introduced in French, too. 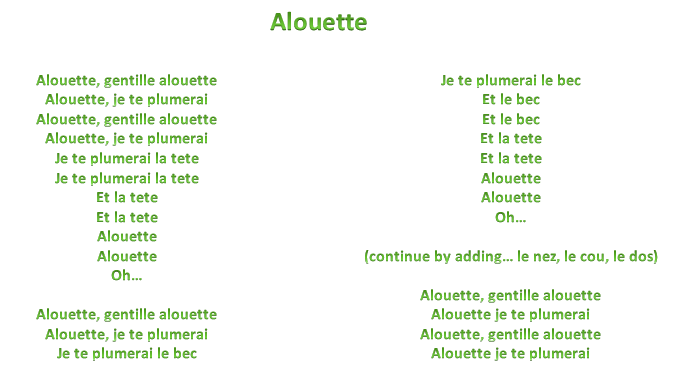 As children demonstrate a mastery of numbers in English, the French teacher can also introduce its French equivalents. 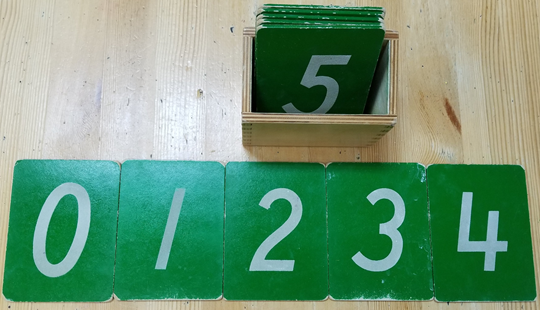 The sandpaper numbers photographed below are just the tip of the Math curriculum iceberg available to our educators. Older children in the classroom use writing and illustration as a means of self-expression. The French teacher may also assist these children in writing words, phrases or even sentences in French. In addition to the materials already found in our classrooms, there also are dedicated activities available for French lessons. These materials are varied, and our teachers are passionate about keeping the French area updated as the years progress. 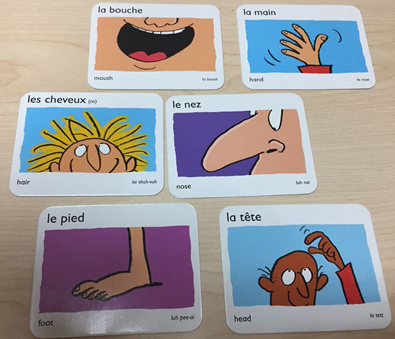 The dedicated French materials include a variety of card games and vocabulary such as the parts of the body cards seen below. 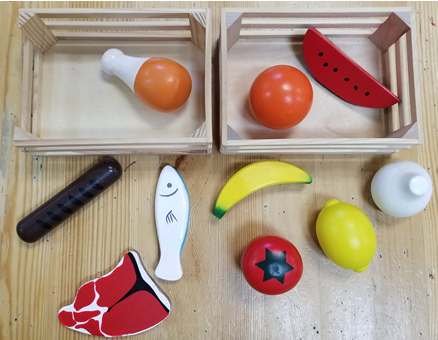 Three dimensional figures bring to life French vocabulary for fruits, vegetables, meats, and dairy. Four baskets encapsulate the four seasons and the names of the months in French. The winter and spring baskets are highlighted in the photo. As our English-speaking teachers read stories and sing songs with the children, our French teachers also enjoy leading circle with various groups. 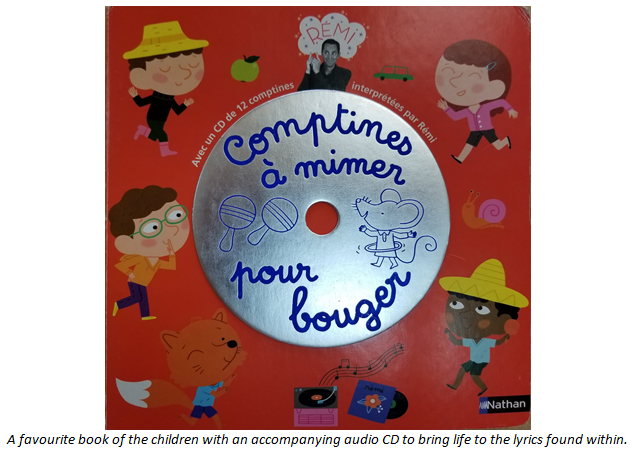 Our shelves are filled with age appropriate French language stories and CDs that the teachers may pull from. 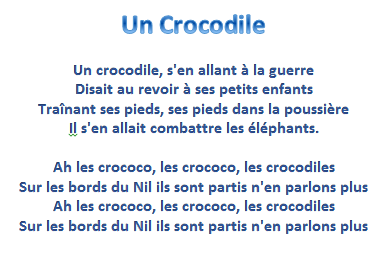 There are endless amounts of stories and songs that the children enjoy during French circle and throughout the day. Below are lyrics for two songs sung in many of our Casa classrooms. Children often absorb the qualities of their environments and the opportunities presented to them. Creating a language-rich environment for the children is crucial especially in these early years, allowing a child’s “Absorbent Mind” to do its work.